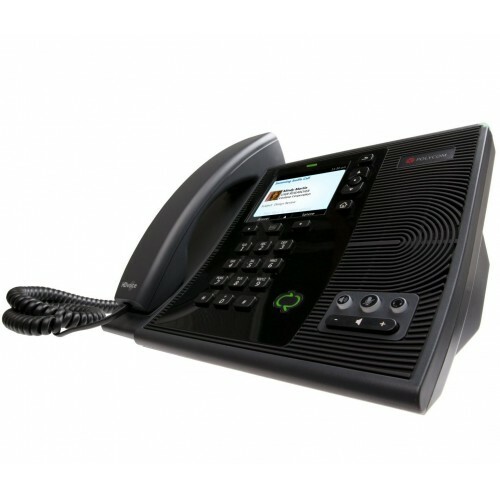 The Polycom CX600 is a feature ­rich VoIP deskphone optimized for use with Microsoft Lync or Microsoft Office Communicator. It features dual Ethernet ports, Polycom's high­definition voice technology and a large, high­contrast colour display. For crystal­clear phone calls, the Polycom CX600 makes use of high­definition audio technology whether you're using the handset, the full­duplex built­in speakerphone or an optional headset for the comfort and accessibility of hands­free communication. Being a fully featured phone, the Polycom CX600 does not require a computer to make calls. The embedded client provides convenience and functionality as well as the ability to store and manage contact information. The bright LCD screen displays caller information, current status and more. Designed to maximize productivity in busy offices and call centre departments, the Polycom CX600 is best suited for use in Microsoft Lync telephony environments. this is a clear and simple to understand system no overly complicated procedures to set up.